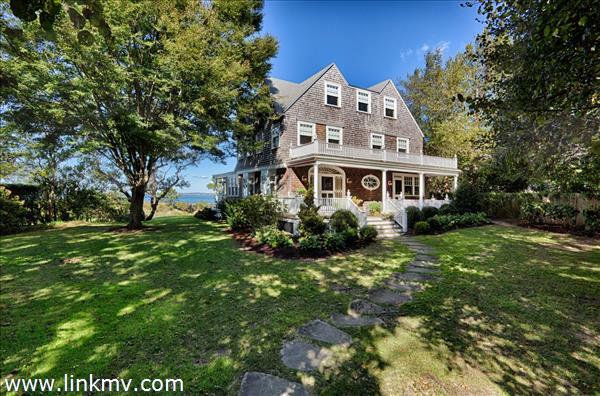 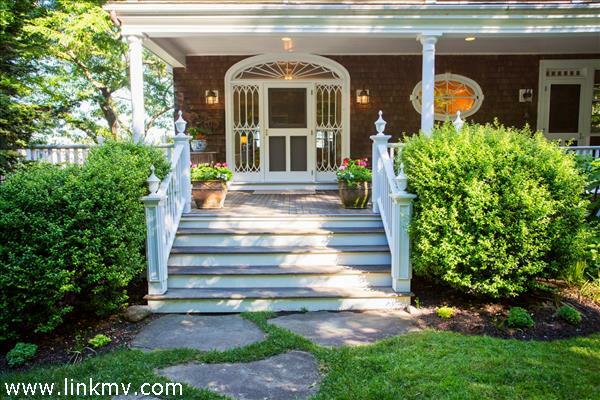 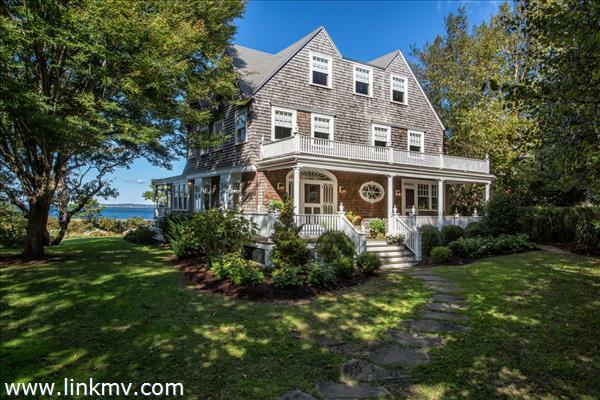 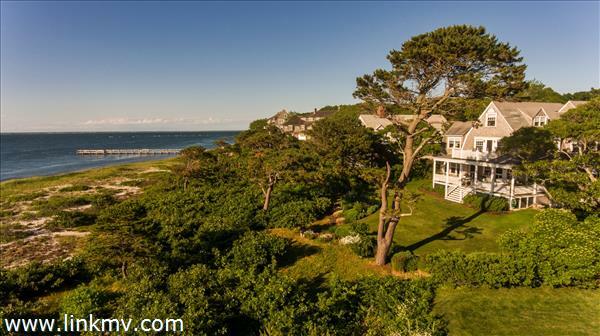 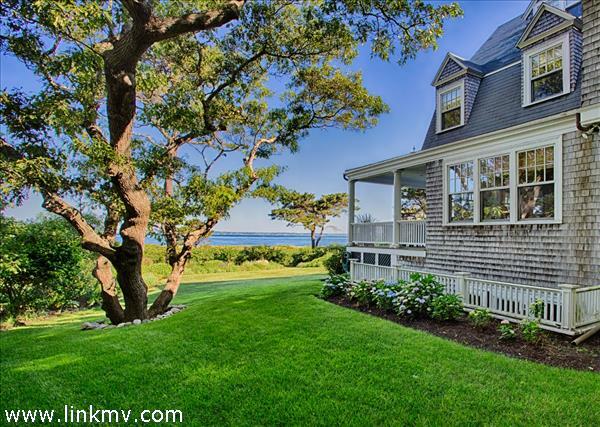 This three-story shingle-style home on Vineyard Sound, an easy walk to the West Chop Club, epitomizes the relaxed elegance of late 19th-century seaside living. 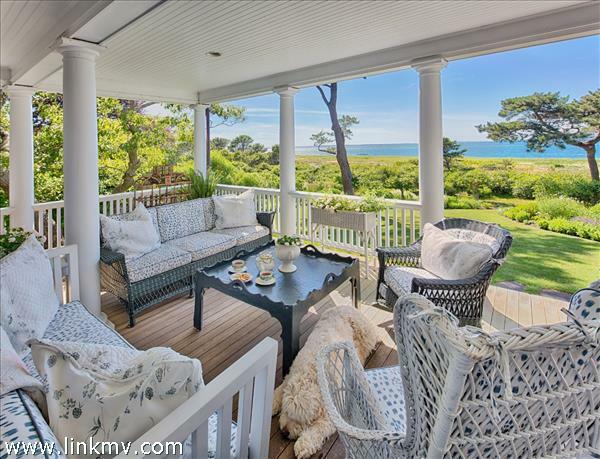 Beautifully restored and decorated, the 5,345-sf house ideally located on a peaceful private road, includes eight bedrooms, multiple formal and informal gathering areas, and wide porches with spectacular water views. 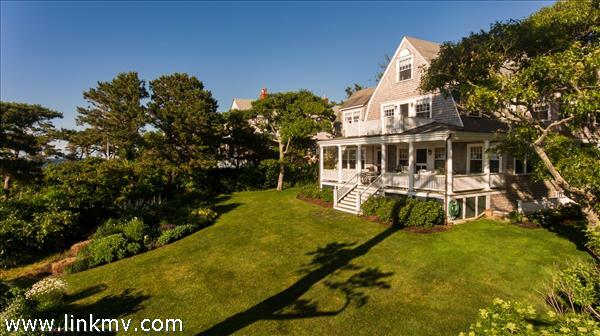 A superb example of traditional coastal New England architecture with its cedar shingles and abundance of windows, gables, and gambrels, this meticulously maintained house was built in 1897 and renovated in the early 1990s, paying tribute to its historical detail while adding many amenities. 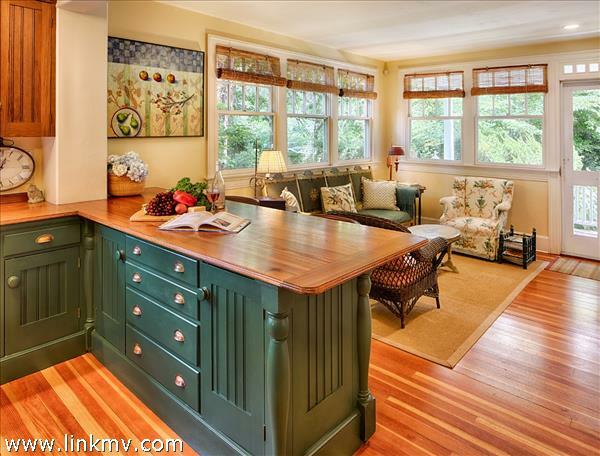 A spacious gourmet kitchen, outfitted with high-end appliances, adjoins a casual dining/lounging area and connects through a butler’s pantry to the formal dining room. 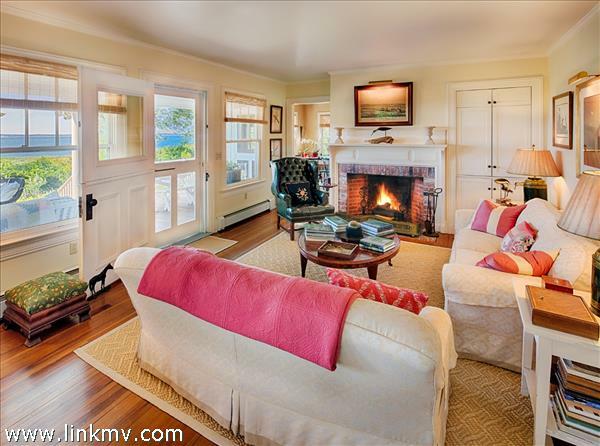 Two living rooms, one with a large fireplace, comfortably accommodate a large gathering. 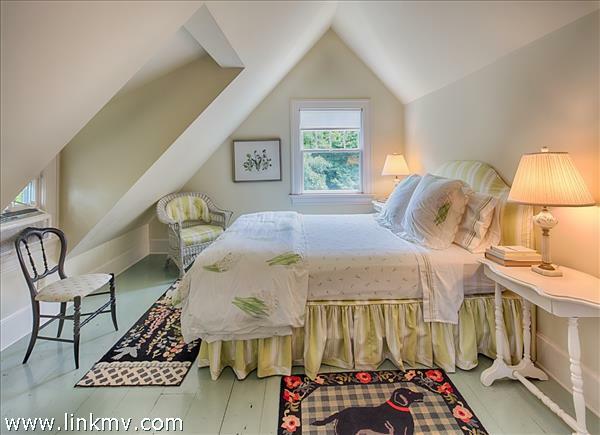 The expansive master suite includes a balcony with water views, brick fireplace, spacious master bath, and adjoining sitting room and office. 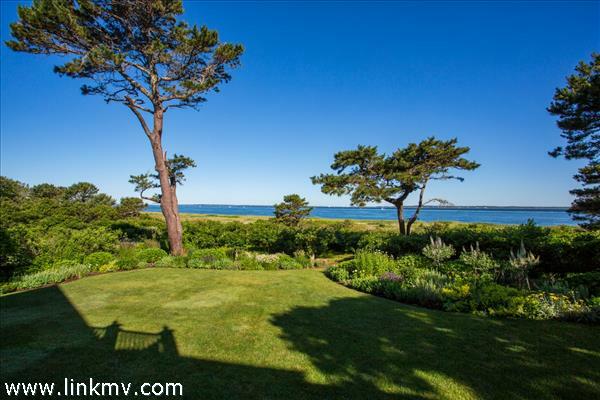 The .59-acre property makes the most of its dramatic setting with graceful perennial gardens and open lawns. 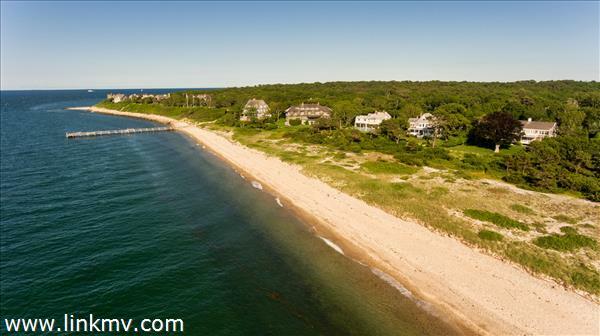 A private path leads to the West Chop Trust’s north shore beach for lazy days in the sun, tide rides, and fishing. 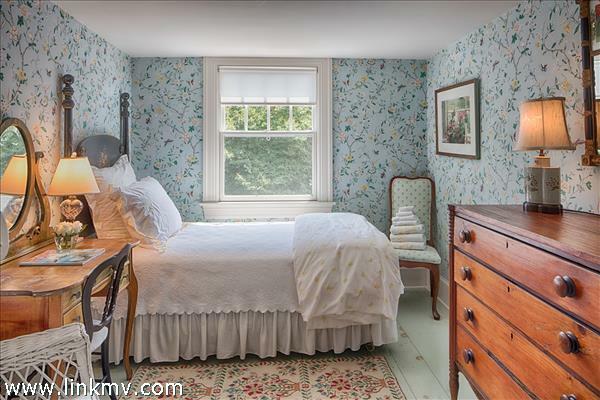 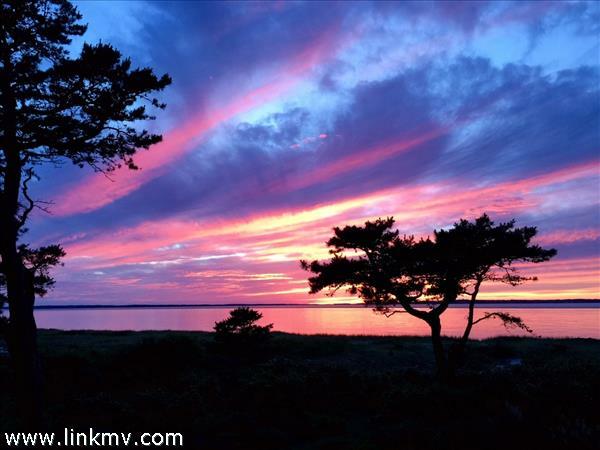 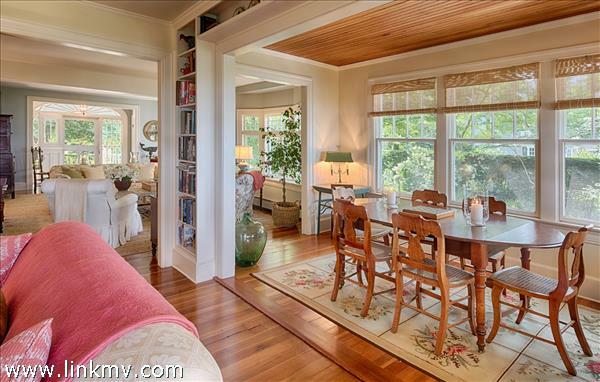 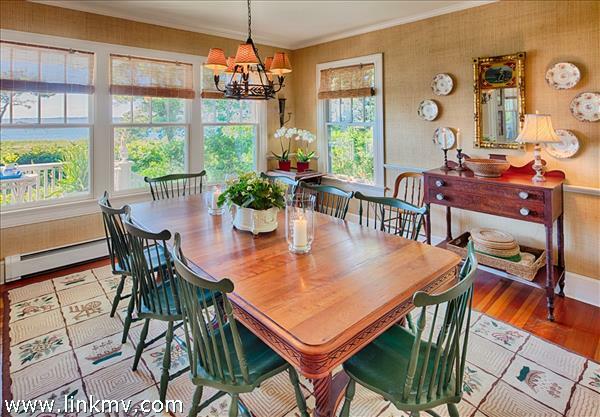 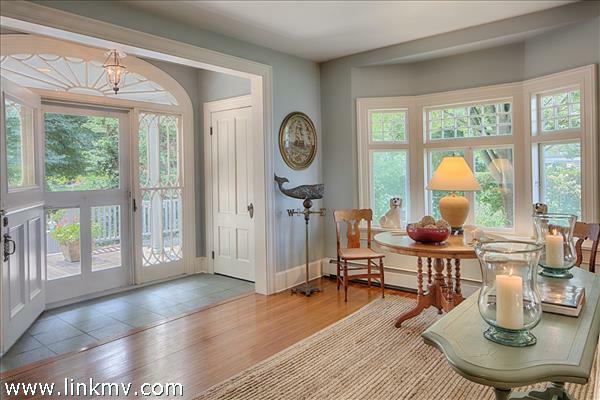 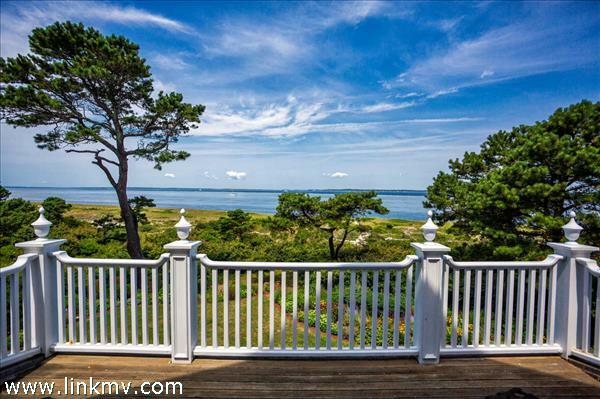 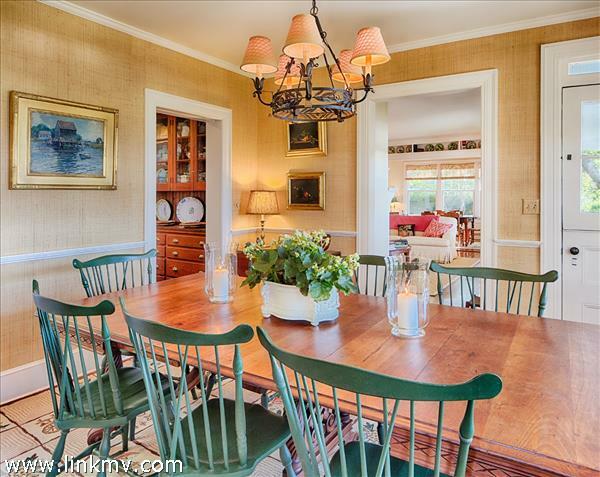 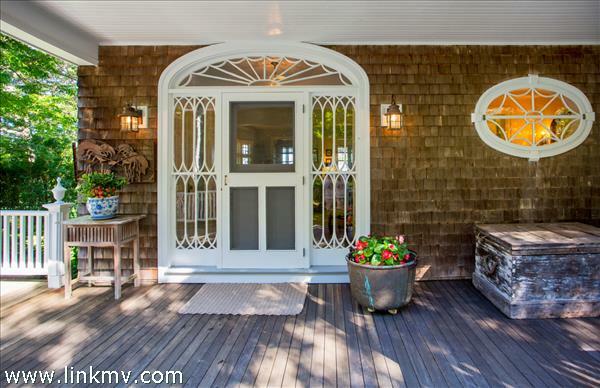 Just two miles from the center of Vineyard Haven, a West Chop classic similar to this home rarely comes on the market, and provides the perfect setting to create memories of your own for generations to come. 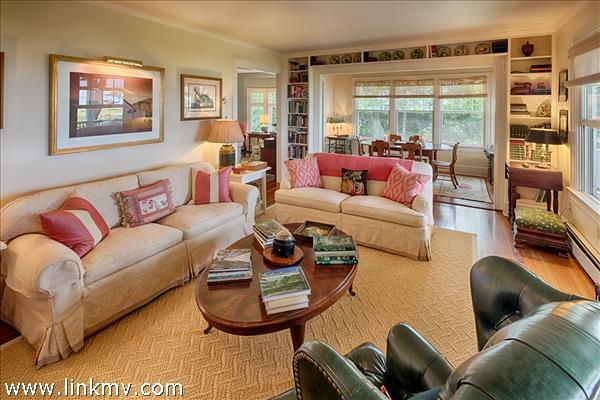 Floor 1: Step inside the front door, and sparkling water views beckon across the living room. 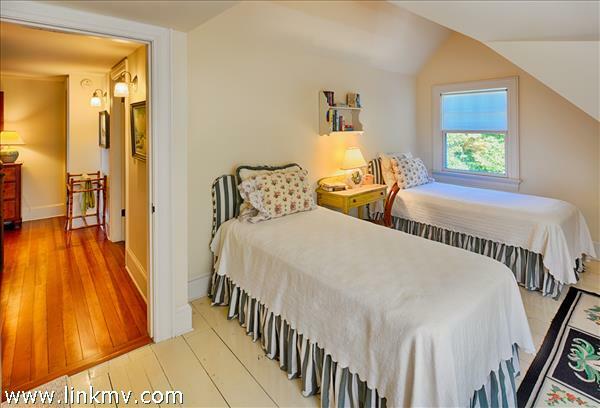 The downstairs flows around a center staircase from one living room to another, through a den/sitting area to the formal dining room and butler’s pantry. 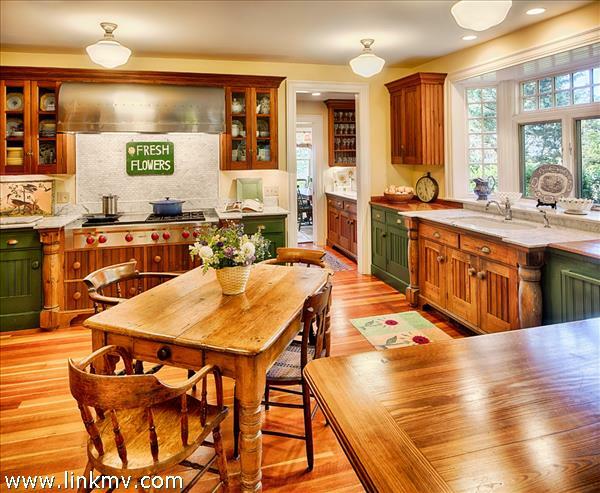 The chef’s dream kitchen includes high-end appliances, farmhouse-inspired sink, counter seating, and an informal dining area, adjacent to a comfortable den with doors to the front covered porch. 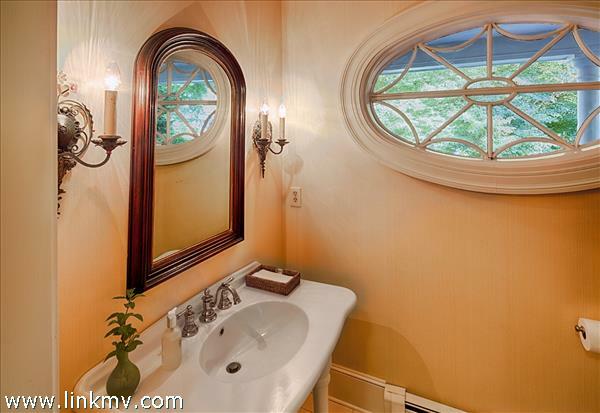 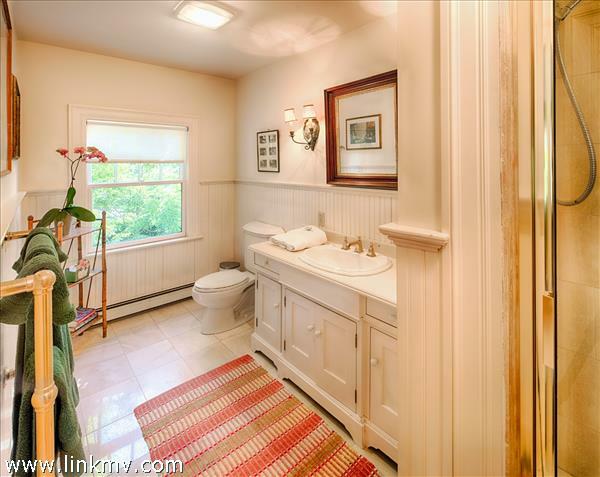 Nearby are a half-bath and laundry room, with an outdoor shower close at hand. 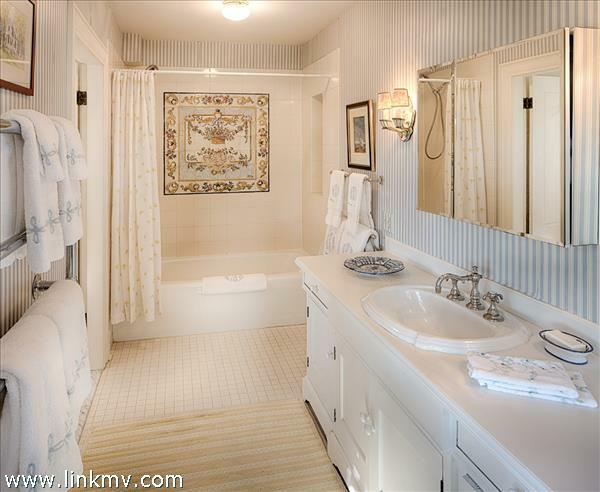 Floor 2: The four second-floor bedrooms include two en-suite king bedrooms and two twin bedrooms that share a Jack-and-Jill bathroom. 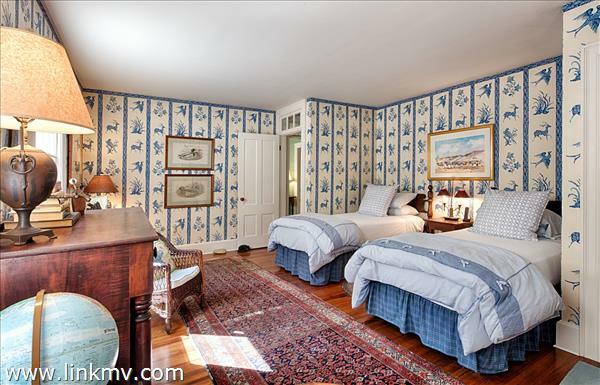 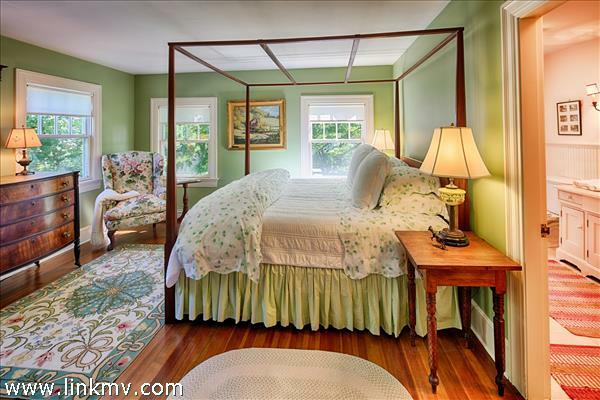 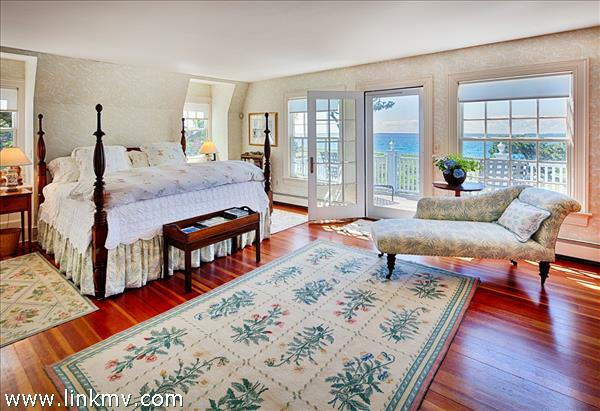 One of the king bedrooms is the beautifully outfitted master suite, with its private balcony, brick fireplace, adjoining den/sitting area, windows on three sides, and breathtaking views over Vineyard Sound, the Elizabeth Islands, and Woods Hole. 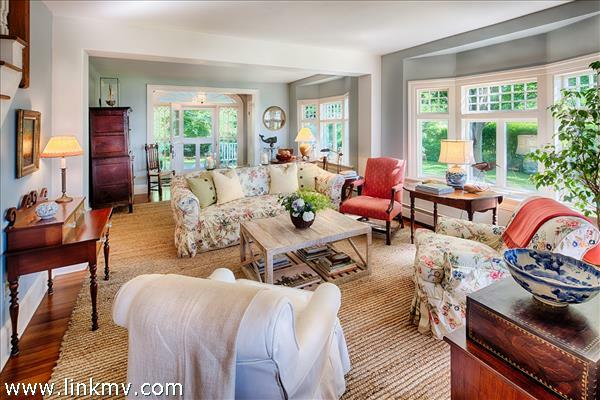 Basement: Large and unfinished, but incredible potential for media room, workout area, wine cellar, and game room. 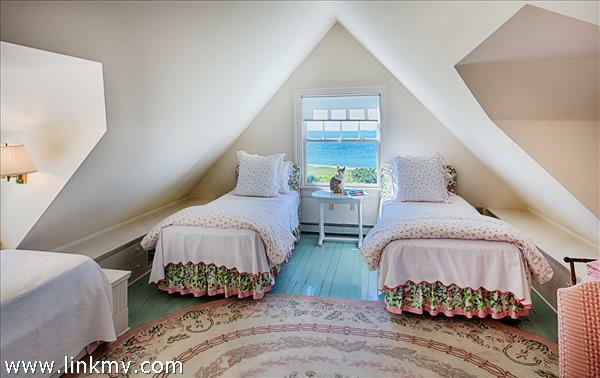 Terrific storage for all the summer toys!